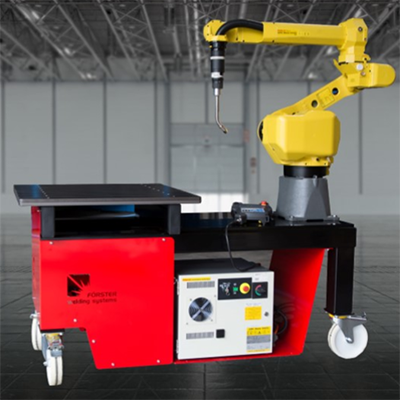 With a larger payload and a multitude of mounting options, this innovative model offers huge versatility across a wide range of high-speed welding and cutting applications. 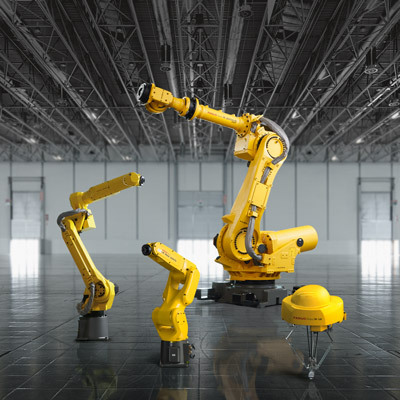 This standard 6 axis robot is both economical and space saving. 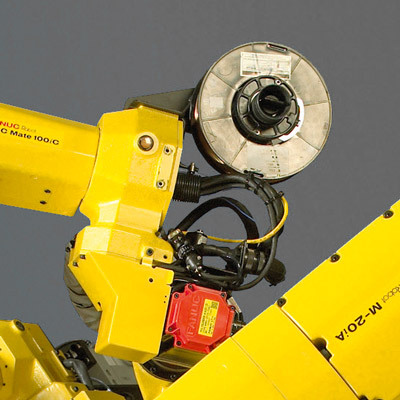 In addition, for maximum protection the welding harness is routed through the hollow wrist and J3 arm. 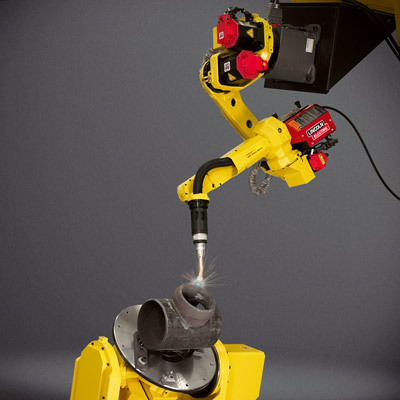 The hollow wrist and J3 arm provides for the arc welding harness being routed inside the robot arm. The extraordinarily large work envelope provided by this model is perfect for applications involving large parts and tooling. 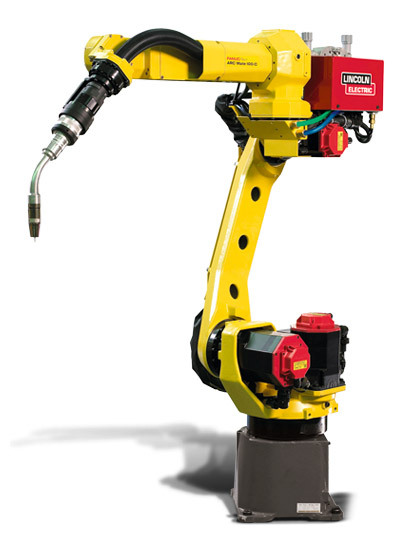 This model features a 1420 mm reach and 1066 mm stroke. Upright, inverted, wall or angle mount, the mounting options available with this model offer huge versatility without you needing to make changes to the mechanical unit. 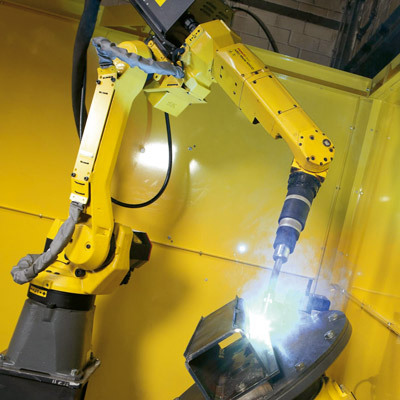 This welding cart was developed by welding specialist and system integrator Förster Welding Systems in cooperation with FANUC. 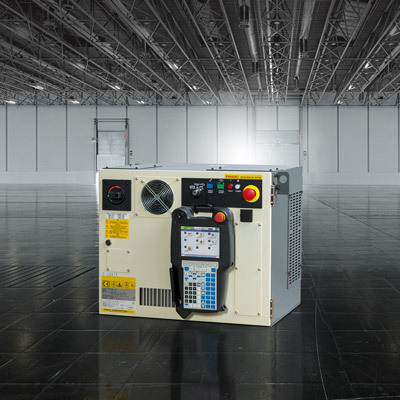 It is a mobile table which has been fully equipped for training purposes and can be used both for commercial training as well as for study purposes. Torch cable protection from the wire feeder to the torch goose neck. 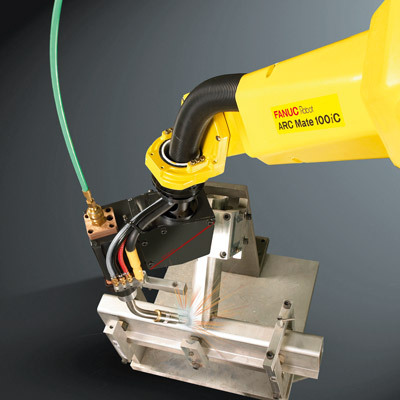 Simplified routing for reduced cable wear and minimised wire feeder issues.